DETROIT (AP) — A federal judge has declined to dismiss a lawsuit over Michigan’s ban on straight-party voting, setting up a trial that will center on whether the law violates the rights of blacks. The decision Friday wasn’t a big surprise. U.S. District Judge Gershwin Drain already had expressed concern and suspended the ban before the 2016 election. Straight-party voting means making a single mark on a ballot to pick candidates of one party. It’s been available in Michigan for more than a century. But Republicans, including Gov. Rick Snyder, say the ban will inspire voters to do their homework instead of simply choosing a party. “Evidence in the record indicates that African-Americans will be disparately impacted by the longer voting lines caused by PA 268,” he wrote. “This impact is linked to historical discrimination in education, which has led to lower literacy rates among African-Americans as compared to whites. Nearly 50 percent of all Michigan ballots were straight-party during the 2016 election. It’s a popular option in urban areas that typically go Democratic, such as Detroit and Flint. But it was also common in Republican-friendly counties won by President Donald Trump, such as Ottawa, Allegan, Livingston and Kent. 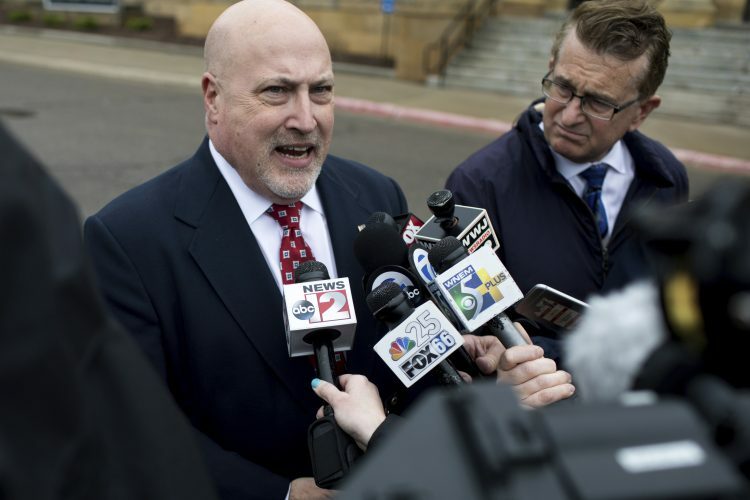 “We look forward to presenting our case, and we expect to prevail on the merits,” said Fred Woodhams, a spokesman for the secretary of state, which must enforce Michigan election law.